Eight teams, fished this the event (2 teams could not make it) there were 4 shore zones at Branscombe 1 zone at Sidmouth and 1 boat zone out from Beer. Fish caught from the shore zones included Plaice, Garfish, Mackerel, Wrasse, Doggies and Whiting. Out in the boats there were Bream, Wrasse, Doggies, Pouting etc. Points were awarded to each zone where each team member could weigh-in their best specimen only. I believe that nearly all competitors in all zones caught fish, so all in all it was a good day for most. At the presentation Sidmouth SAC were awarded the first place with 37 pts (see picture) 2/ Honiton SAC 34pts 3/ Paignton SAA 31 pts 4/ T and B ASA 28 pts 5/ Budleigh 24 pts 6/ Brixham SAC 23 pts 7/ Cormarants 17 pts and 8/ Teignmouth SAS 14 pts. 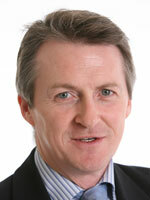 DEFRA announced earlier this week that Huw Irranca-Davies MP has replaced Jonathan Shaw as UK Fisheries Minister. Mr Irranca-Davies joins Defra from the Wales Office where he has been Parliamentary Under-Secretary of State for Wales since June 2007. In his early career Huw Irranca-Davies worked for local authorities in leisure management and he later worked in private sector management and as a lecturer at Swansea Institute of Higher Education. At the Tackle and Guns Trade Show, at Stoneleigh, Nr. 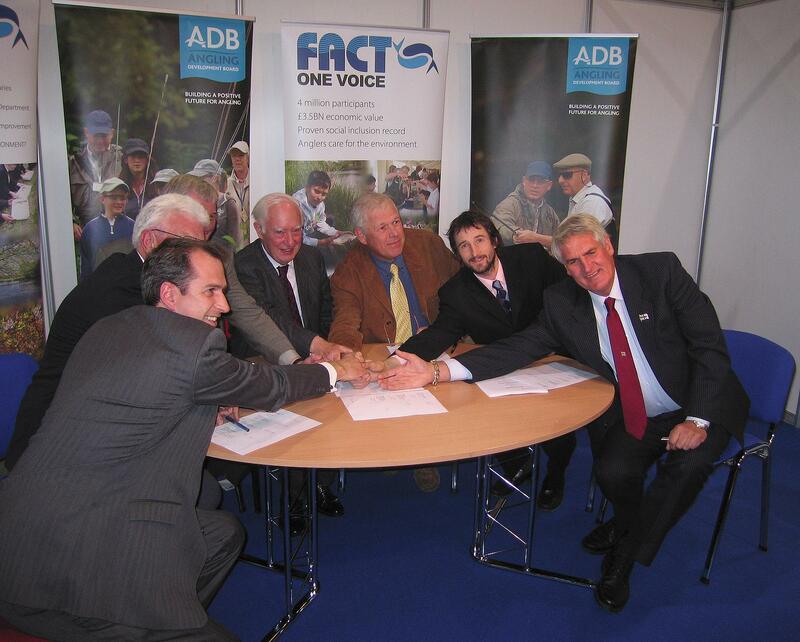 Kenilworth, last Sunday saw the NFSA Chairman, Richard Ferr� put his signature to a formal document agreeing to inclusion of the 5 prime UK angling bodies in the new "umbrella" organisation which will be known as the "Anglers' Trust". That means that the central body of the NFSA will cease to exist as from around the 5th January 2009, although the "Divisions" such as NFSA Wyvern, Wessex, Severn, etc. will still carry on in their respective areas. Torbay Angling 10th Annual Conger Competition. This year attracted over 100 competitors from as far afield as Falmouth, Somerset, Sidmouth and beyond, yet again proving its popularity. The weather forecast was not favourable, with an expectation of strong winds and rain. Fortunately the annual free soup run helped to blot this out. Plenty of reports were heard of bites felt but fish lost. At the final whistle, only two Conger Eels had been caught. 1ST Prize - went to Jason Prior from Cambourne in Cornwall. Jason won approz �600 in top quality fishing tackle, plus �200 cash. 2ND Prize - was won by Ashley Brooks from Brixham. Ashley won �450 in tackle plus another �100 cash.